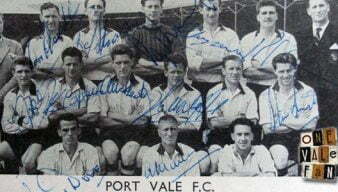 The 1953-1954 Port Vale season was one of the most memorable in the club’s history as the Valiants won promotion, set several club records and reached the semi-final of the FA Cup. 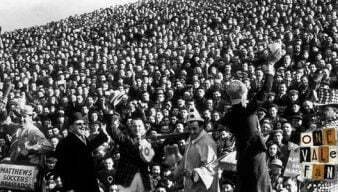 Wednesday 20th February 2013 is the 59th anniversary of one of Vale Park’s finest games of all time. 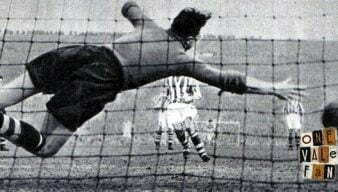 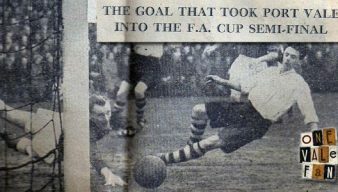 Freddie Steele’s Iron Curtain side stunned FA Cup holders Blackpool (boasting Stanley Matthews and six other internationals) in a famous FA Cup giantkilling. 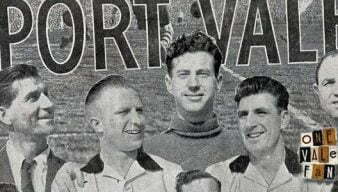 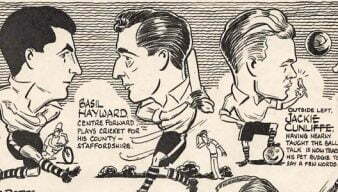 The excellent football nostalgia magazine Backpass has an extensive feature on Port Vale’s 1954 Iron Curtain side including an interview with Vale great Colin Askey. 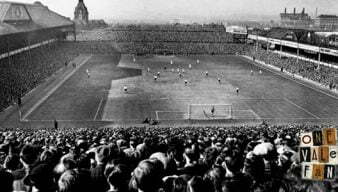 On this day, 58 years ago, the legendary Port Vale Iron Curtain side played the biggest game in the club’s history – an FA Cup semi-final clash with West Brom. 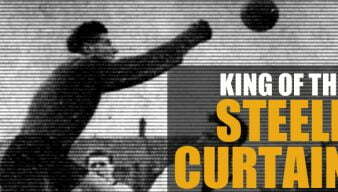 Barry Edge is an exiled Valiant living in Western Australia. 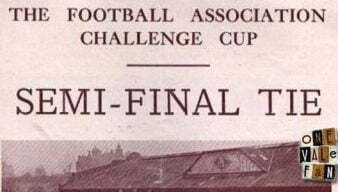 Here he shares with us his memories of 1954. 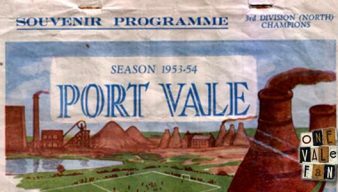 The move to Vale Park, the cup run of the famed ‘Steele Curtain’ side and the controversy over league expulsion.